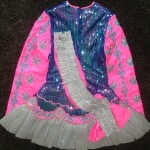 Beautiful dress that really stands out on stage. Photos do not do it justice. 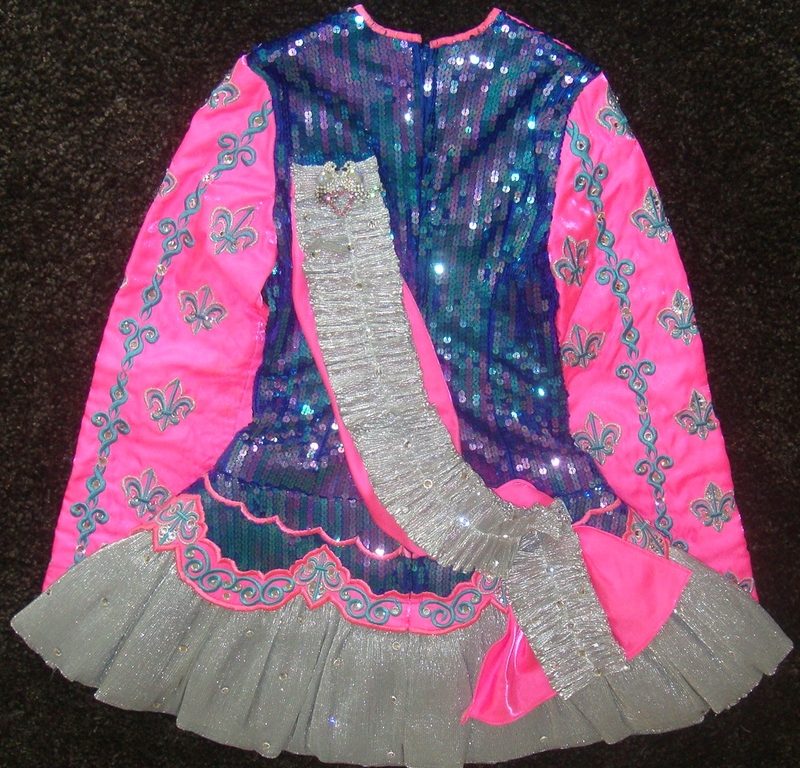 Blue shimmer sequin bodice with pink satin sleeves and neckline and silver skirt that reflects the light. 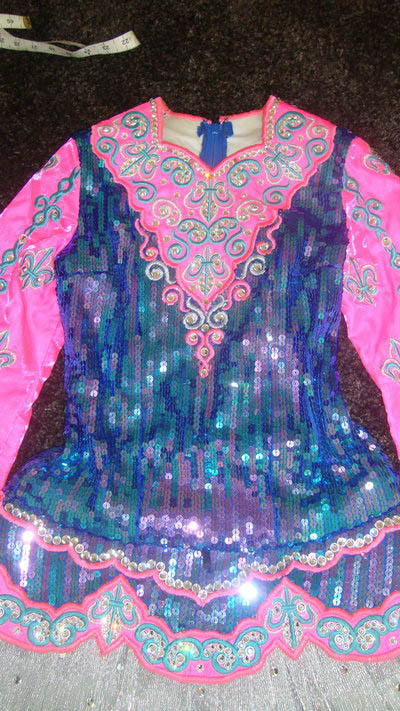 Dress is in good condition however some of the blue sequin have fallen off and I will be happy to supply pictures. Hundreds of crystals. We are the 2nd owner and the dress is approximately 3 years old. The sleeves were originally 25 inches long and were raised at the top to accommodate my daughter, but can be let back down.